Getting pulled into a murder investigation wasn’t in her plans, but she can’t take the threat to her life in Silver Springs lightly. Though the police make an arrest in the case, Tess is sure they’re wrong. When not just her case but her business is at stake, can Tess find out the truth, save an innocent woman, and solve her relationship woes? Do you love Eggnog & Extortion (Sweet Bites Mystery Book 4) book? Please share! 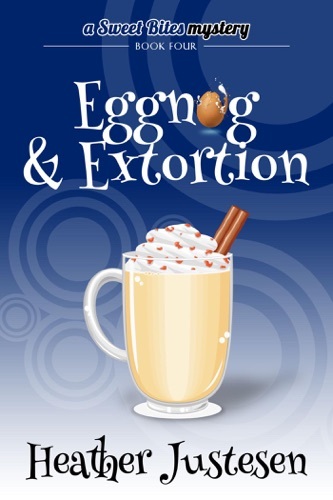 Eggnog & Extortion (Sweet Bites Mystery Book 4) - Heather Justesen E-Book coming soon..